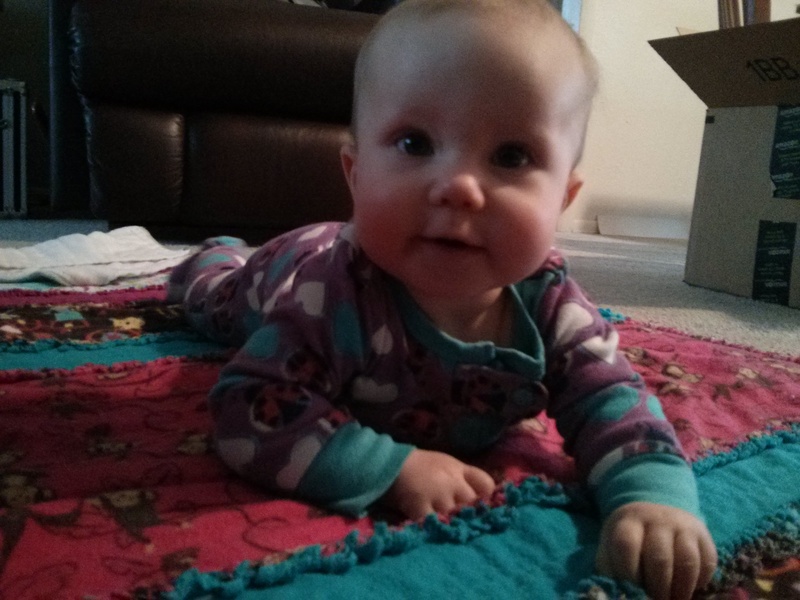 Parenting: Month 6 | Team Alzen! Parenting makes you feel a lot of emotions. I can go from my heart feeling more full of love than I ever felt imaginable to feeling resentment for having to sacrifice and serve all the time. I move from embracing my new role as mom to desperately missing the freedom that was being without children. Sometimes I feel like I’m killing this gig of balancing me stuff, wife stuff, mom stuff, house stuff, job stuff, research stuff, and school stuff while other times I feel like I’m frantically running from one task to another barely able to keep my head above water and having no idea who “I” am anymore. The last few months are the first time in my life I have struggled with body image. The first time I’ve decided I’m too old to wear something I wanted to. The first time in a long time I felt weak and inadequate exercising. In all of this, I desperately love my daughter. There is never any question about that, but this redefinition of self is still an occasional struggle for me. Despite that, I find immense joy in watching my daughter learn, grow, and develop. I love seeing her and Husband learn more about each other every day.I’m so thankful for how Husband loves and serves us both. I love finding my place in our new family of three. The semester ends at the beginning of May. When that happens, I’ll have notably less on my plate. This will help. I knew this semester would be tough, but it ended up being tougher than anticipated. 24 Hour fitness provides affordable childcare once kids are 6 months old, so I’m hoping to get back in at some capacity very soon. I think getting those endorphins going on a semi-regular basis again will help with all of this. Hopefully our family schedule and budget will allow me to return to crossfit by the summer as well. In the meantime, I’m keeping on keeping on. I’m not the first, nor will I be the last, to have a difficult transition to parenthood. And so as not to be a complete Debbie Downer, parenting is fun too. Six months is a really fun age. AB interacts so much more than before. She laughs, babbles, reaches out to people she recognizes, shows favoritism for some toys over others, DIGS eating solids, and is generally a delightful kid except for when she’s sleepy. This is all new and different and not what I planned out for my life, but it’s wonderfully challenging and desperately cute.